I'm Ready to Graduate - Will I Land a Job? - JESSI Exceptional Search Services Inc.
Several upcoming college grads and even parents are asking questions about their job search. My own daughter has called me numerous times and I’m proud to say that she’s accepted a great position, starting a couple of weeks after her graduation. 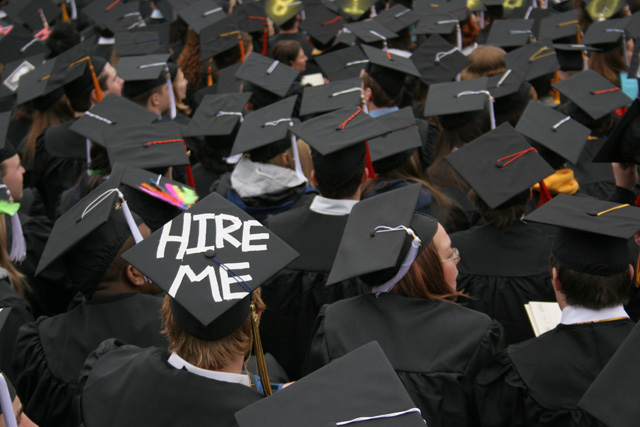 For many graduates, this is the first time they are in a serious job search. It’s ok to reach for the stars . . . but keep it real during the interview process! You might be getting the advice not to jump at the first opportunity that crosses your radar. I agree. You don’t want to come across as someone who is “shopping” an opportunity. Hiring managers want to hire someone who wants to be a part of their team. If you come across like a kid in a candy store who is making up their mind what to treat themselves to today, you won’t be viewed as a serious candidate. If this is the first time you’ve applied for a position using a resume, this is where you want to make an investment. A high-quality resume gets noticed and helps you to showcase how you can bring value to an organization. Make sure you show your background in the best light and have several sets of eyes review it before sharing it publicly. You may want to invest in a reliable resume writing service as well. If you earn an interview, maximize this opportunity. Spend extra time on the little things that show that you pay attention to the details – get out your iron, shine your shoes, make sure you’re put together to make the best first impression! Be certain to arrive early enough so that you feel relaxed rather than rushed, but not so early that you’re infringing on the interviewer’s time pre-interview. Don’t be afraid to apply for positions where you cannot check every box on the description. Many candidates are hired who don’t meet every requirement. In fact, this can be viewed as a positive opportunity for growth. You do want to show that you have the competency to meet each requirement. Show the results from previous jobs, school and volunteer work that validate you can succeed in the one you’ve applied for. Pay attention to their terminology and use it when you can. When you’re fortunate enough to get the interview, research the company thoroughly and have examples from your background fresh in your mind to share. A final bit of advice. You’ve invested a lot to get your degree. Pat yourself on the back! But don’t inflate that achievement before you’re due. Don’t focus so much on where you want to end up in your career that you miss the opportunity to begin it. Focus on winning the opportunity at hand. And don’t forget to provide updates along the way to those who have helped you with your search! The great news is that the job market is strong. More requests are coming from our clients to add recent college grads to their teams. You’re a hot commodity! Putting thought and effort into your job search process will set you apart from others with similar experience levels.